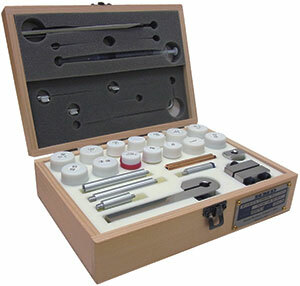 • Sealed sample chamber with 2.6 cm diameter sample access. • EverCool-II cryogen-free cooling technology. • Versatile sample mounts couple easily to the 12 electrical leads built into the cryostat insert. • The PPMS is controlled by the Model 6000, a sophisticated microprocessor-controlled device that eliminates the need to use or purchase external bridges, current or voltage sources, or lock-in amplifiers. • Continuous Low-Temperature Control – maintains temperature below 4.2 K and offers smooth temperature transitions when warming and cooling through 4.2 K.
• User Experiments – External instruments may be controlled automatically using an integrated Visual Basic interface within our Windows-based MultiVu control software or by controlling external Visual C++, Delphi or Visual Basic programs. Click here for more details. In addition, our Grapher utility displays data as it is being collected. • Select from 7, 9, 14 and 16 tesla magnets. • Or order a system with no magnet and add a magnet when needed. • A split-coil 7 tesla transverse magnet is also available. • Measured by using precision DSP current source and phase-sensitive voltage detection. • Measured by applying heat from the heater shoe in order to create a user-specified temperature differential between the two thermometer shoes. • Measured by creating a specified temperature drop between the two thermometer shoes - just as it does to measure thermal conductivity. However, for Seebeck coefficient the voltage drop created between the thermometer shoes is also monitored. • Determined here simply as the algebraic combination α2T /(κρ) of the three measured quantities - thermal conductivity, Seebeck coefficient, and AC electrical resistivity. Quantum Design and Attocube Systems announced the PPMS SPM – the only Scanning Probe Microscopes certified and endorsed by Quantum Design for use in its respected Physical Property Measurement System (PPMS). 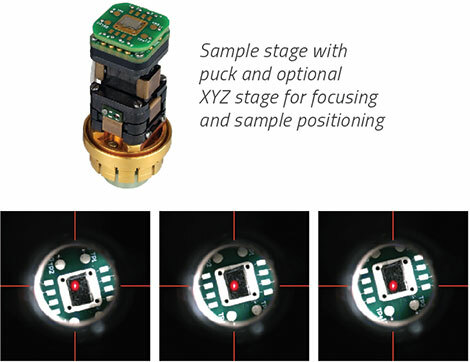 The ultra-compact, high resolution PPMS SPM uses advanced technologies such as low temperature compatible objectives for confocal microscopy or a fiber-optical interferometer for force microscopy with outstanding signal-to-noise force detection. • Low Temperature Magnetic Force Microscope (attoMFM Ixs): ultra-compact magnetic force microscope designed particularly for applications at low and ultra low temperature. 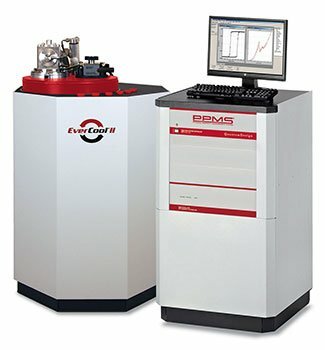 On the basis of a conventional atomic force microscope, the instrument works by scanning a sample below a fixed magnetic cantilever. The magnetic force gradient acting on the tip is then determined by measuring the change in resonance frequency (FM mode) or phase of the cantilever (AM mode) with highest precision using a fiber-based optical interferometer. • Low Temperature Atomic Force Microscope (attoAFM Ixs): ultra-compact atomic force microscope designed particularly for applications at low and ultra low temperature. The instrument works by scanning a sample below a fixed cantilever while measuring its deflection with the highest precision using a fiber based optical interferometer. 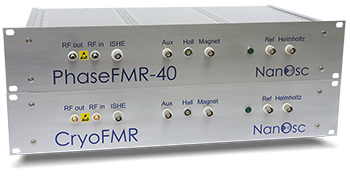 Combined with the ASC500 SPM controller, both contact and noncontact modes are applicable, making the attoAFM Ixs a powerful tool for topographic measurements, force spectroscopy and other imaging modes. • Low Temperature Scanning Hall Probe Microscope (attoSHPM xs): ultra-compact scanning Hall probe microscope, designed particularly for operation at low temperature and high magnetic fields. At the heart of the SHPM, a molecular beam epitaxy (MBE) grown GaAs/AlGaAs Hall sensor measures magnetic fields with unrivaled sensitivity. Local measurements of the magnetization of a sample are obtained by scanning the sample underneath the Hall sensor and simultaneously recording the Hall voltage, directly yielding the local magnetic field. • Low Temperature Confocal Microscope (attoCFM xs): ultra-compact confocal microscope developed to offer the highest flexibility combined with maximum mechanical stability for low temperature confocal microscopy experiments. Can be ordered with either free-beam or fiber based optics. With free-beam optics, excitation and collection ports are completely independent, allowing the introduction of further optical components (e.g. filter or polarizer) and enabling measurements such as Raman spectroscopy. The fiber based setup is designed for the highest mechanical stability, allowing single quantum dot measurements over a time span of several weeks and operation in cryogen-free cryostats. 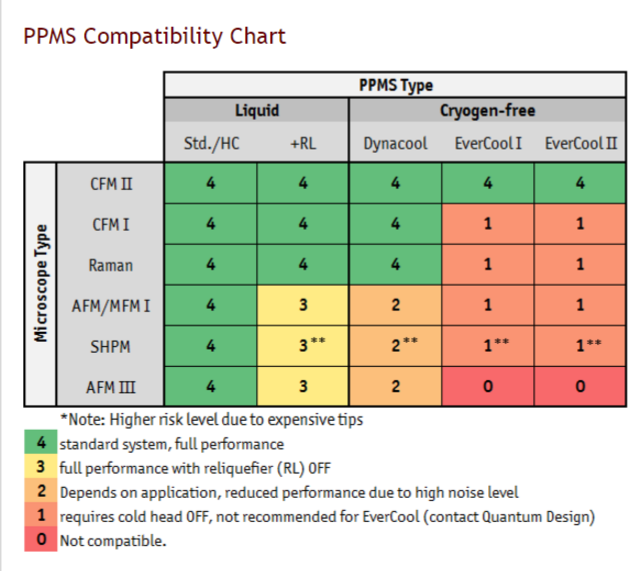 The newly designed Optical Multi-Function Probe (OMFP) offers unprecedented flexibility and versatility that allows you to conduct photonic, quantum optics and correlative microscopy experiments within the variable temperature and magnetic field environments of the PPMS, DynaCool and VersaLab. 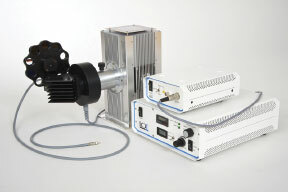 The OMFP probe features a room temperature “head” with multiple access ports and integrated optical breadboard for mounting optical components such as spherical and achromatic lenses, turning mirrors, filters, diffusers, beam splitters, prisms, waveplates, fiber bundles and electrical wiring. 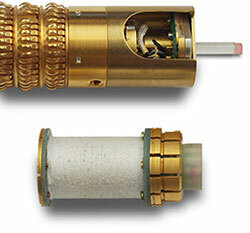 The open modular design of the probe head provides easy access to the axial ports and connectors which can be configured to route electrical, single fibers, fiber bundles and miniature waveguides to the sample space. In addition, a central optical access port allows free-beam optics experiments in the cryostat. A 0.5 in. 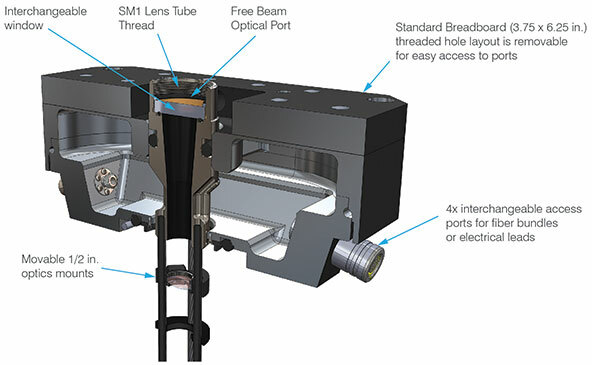 standard optical thread mount makes aligning and focusing lens assemblies fast and easy.